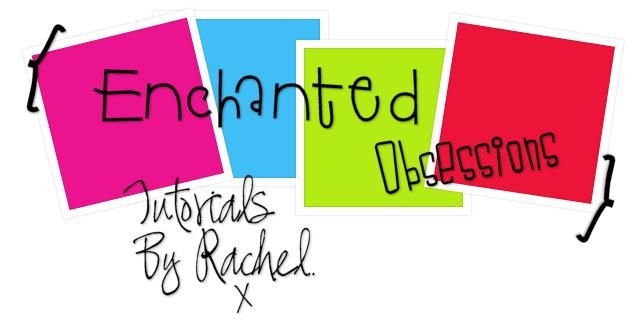 Hello & Welcome to Enchanted Obsessions! My new home for my tutorials, Masks from my old site Enchanted By Darkness. Hopefully I will get some new tutorials up for you, If my mojo ever comes back!! Open up all the supplies into Psp. 1,Open a blank canvas 700x600, Flood fill white. Bring up the oval shape copy, paste as new layer onto the blank canvas. Still on the oval shape go to selections/select all/float/defloat/selections/modify/contract 10/Invert. Open up the tree tube, place into position, add the tombstone & tube place all into position. When you are happy hit delete. Add a subtle drop shadow to the tubes. 2, Make sure you're on the oval shape layer & duplicate. Layers/Arrange/Move down. Go to Adjust/Blur/Gaussian Blur Size - 35 or whichever you think looks best. Go to Effects/Vm Extravaganza/Transmission use the default settings. 3, At this point you can add your Text any brushes, or Embellishments. It's entirely up to you ! Also don't forget to add your watermark & © Info. You can now either leave as it is or carry with the next step. 4, In Psp Go to the Original oval shape layer & select/select all/float/defloat/modify/contract 6. Selections/Select none. Edit/Copy Merged & Paste as new Animation into Animation Shop. Edit/Copy Merged/Paste After Current Frame in Animation Shop. Back into Psp Repeat the above step, just changing the Reset Colours button again.Ok. You should now have 3 copies of your tag in Animation Shop. Click on the View Animation tool & if you're happy save as gif !! This Tutorial was Written By Rachel 18th October 2007 Exclusively For Tag it. Any Resemblance to any other tutorial is purely coincidental & unintentional. Scrap Kit Of your choice Or the one I am using. Open up all your supplies & minimise them for now. New blank canvas 700x550, Fill white. Copy & paste the frame as a new layer & resize. Inside the frame click with your magic wand. Copy & paste a paper of your choice, resize. Selections/Invert delete. Move the paper layer below the frame layer. Add your tube & erase parts that you don't want. Add subtle drop shadows to the frame, Tube & Embellishments. Open a new blank canvas 500x500 , Copy & paste another paper onto the canvas. Now bring up my mask. Layers /New mask layer from image. Invert mask data checked. Layers/Merge Group. Copy & paste your mask onto your canvas beneath the frame layer. Add your text & correct © Info . This Tutorial was Created by Rachel 1st August 2008. And is an Exclusive for Sweet Euphoria. Any resemblance to any other tutorial is strictly coincidental. Tube of your choice, I am using the beautiful artwork of Steve Baier. Do not use his art unless you have a license from Up Your Art. Flower Is from Scrappy Expressions. Thank you Melissa. Scrap paper & Doodles/Brushes of your choice. Open up all supplies into psp. Ok on with the tutorial. 1, Open up a blank canvas 700x500 & Flood fill white. Grab your preset shapes tool & draw out a nice sized circle . foreground a colour from your tube. 2, Now click inside your circle with your magic wand, Bring up your scrap paper [Resize if necessary]. Copy & paste as a new layer into your circle. Selections/Invert & hit delete. Keep selected bring up your tube & copy & paste as a new layer, Place into position & hit delete. Add a subtle drop shadow. 3,Grab your preset shapes tool & use same settings as above only change the Fore ground to Null & Background a colour from your tube. Make this circle more or less the same size as the other one. Duplicate/Adjust/Blur /Gaussian Blur -15.00. I lowered the opacity to 50%, The choice is up to you. Layers/arrange/move down , So this layer should be the one above your White background. Check - make gaps transparent. I drew a dotted circle a little bigger than the main circle, using a colour from my tube. 5, Add your flower embellishments & anything else you want to add. I also added the words Sensual Beauty, in circular text. Just draw out another circle a little bigger on a vector layer, Do not convert to raster. Create as Floating, then hover the little A over the circle, when you are happy with the text, Promote selection to layer & delete the circle. Add your name, watermark & the correct © info . Merge visible & save a Jpeg or Png file.. Thank you for trying my tutorial, I hope you enjoy it as much as I did writing it. Layout and Tutorial Rachel written on 4TH November 2007 . I'm using Psp9, But can be done in other versions! tube from his site Here you must have a license to use Arthur's Art! You will need to register to download the freebie! Vix has lot's of fantastic goodies go Download them all hehe! 1,Open up a new Image 800x800, I like to go big & then resize later. 2,Resize Paper1 by 30%, Copy & paste as new layer on to canvas. make sure mask is open in psp. Find the mask. Source Luminance checked then click ok. Merge group in layer pallette. Open up paper2 rezise 30% copy & paste as a new layer below the frame. 4, Add your tube/image of choice below the frame but above the paper. as it should still be selected & on inverted you can just delete/Select none. Then change blend mode to screen or one of your choice. Add a subtle drop shadow to original tube & frame v/h=3, O=35,B=8,C=Black. 6, Add your text & © info. Save as png or jpeg. Please feel free to share your lovely creations with me so I can share them on my blog! Labels: .•. New Tutorial .•. Any similarities to this tutorial is purely coincidental & unintentional. Open up the template & delete the credit layer & the 3 hearts. Duplicate & close the original. Add a new layer,Change the canvas size to 750 by 550,And your tube/Image of choice. Copy,paste a paper of choice from the kit resize, I used Yellow Pattern. Delete the original & give your new layer a drop shadow. Do the same for layers 6,5 & 4. I used papers Colourful Zigzags,Polkadots & Oceanwaves in that order. I also added some glitter layers to the circle layers 5 & 4. Blue shovel1,Sun,Palm Leaf,Pink hibiscus2, Peach hibiscus,Yellow hibiscus1. I added a white layer to the palm leaves & a bit of noise. Add a drop shadow of choice to your tag! Open up a new blank canvas 850 by 750 & your tube/Image of choice. From the kit I used Frame 4BSH resize to how you like, Copy & paste on to your canvas. & place into position at either side of the frame. Add a new raster layer & choose a paper from your kit. I used paper 11.Copy & paste into selection/invert/delete. Copy & paste as a new layer your tube/image underneath the frame but above the paper & resize to your liking. I duplicated the tube, On the duplicated layer I added a Gaussian blur of 3 & on the original changed the blend mode to hardlight. I also did the same with the larger tube. Leaves 4,Pin 3 & Paint. Resize to your liking & add a drop shadow of choice, I used:2/2/35/4/Black. This Tutorial was created by Rachel on the 9th of October 2006. Any resemblance to this tutorial is purely coincidental, And Unintentional. You will need psp i am using version 9 , I'm sure it can be done in other versions. - Plugin - Xenofox 2 - Constellation. -Tube- Image of your choice. - Nice Font - I am using - AlphaMack AOE. 1, Open up a new Blank canvas - 600x400 i know this is big, we will re size it later. Copy & paste your -Tube/Image onto your white canvas. Background - a colour of your choice or the one I'm using - #E4B494. Draw out a Rectangle not too big ,Layers /convert to raster layer. Click inside the rectangle with your magic wand. Create mask from - source luminance checked. Orientation - Fit to layer checked. Options - use image value - Invert transparency unchecked. On layer pallette/ Right click on mask layer & delete, Answer yes to the pop up. 2, Move the mask layer below the Tube/Image layer. Move your Tube/Image to the left or where you think it looks best. but change Foreground & background to white. Draw out a nice sized rectangle . Add a drop shadow . X out background layer & merge visible. Add your brush evenly at both sides of the image. I cut off the excess with the selection tool. set at rectangle. Now go to Effects/Edge effects/Enhance more. I did this 3x's. Move this layer above the image layer and change the layer to Overlay. If you want you can leave as it is add your Text any © info and save as jpeg..
Background Fill - Keep original image - checked. Now go to edit/copy merged & paste into Ani shop as a new animation. Repeat the above steps 2x's ,Edit/Copy merged & paste After current frame each time changing the Random See. Now check to see if you're happy with the animation !! Go back to psp & do your text ,any © info & add your watermark , copy & paste into animation shop Duplicate 3 X's . Then add to your tag !!! I hope you enjoyed my Tutorial as much as i did writing it. Im 46 live in a lil village in South Yorkshire Uk. I love going to gigs. Especialy Rock or Punk..